Cooked sausage is a universal product that can be used both independently and as part of many dishes. In addition to the well-known sandwiches, on the basis of this meal you can prepare soups, salads, appetizers and dressings. Experiment with cooked sausage, make sure of multiple use. Cook sausage, fried dough for Breakfast, and the gravy from sausage for dinner. 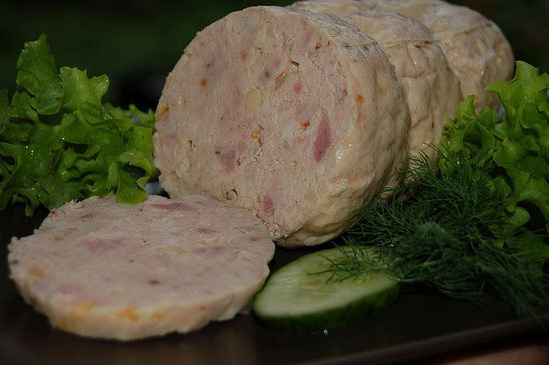 To cook sausage, fried in pastry, 300 grams of a product cut into flat, thin circles. Then each of them cut in half. Prepare the dough: 1 egg mix with half Cup of milk, 3 tablespoons flour, salt. It should be not very thick. Heat the pan vegetable oil. Pieces of cooked sausage dip from two sides in the batter, then carefully place into the hot oil and fry on both sides until Golden brown. Serve sausage, fried in pastry, warm on the table, with tea or coffee. In order to prepare the gravy, slice 300 grams of cooked sausage into small cubes. Onions and carrots wash and clean. Carrot grate, onion finely chop. Cheese grate on a fine grater. Sauté onions and carrots with vegetable oil until soft. Then put it in a pan with vegetables sausage. Fry all together for 5 minutes. Pour the sausage and vegetables with water, cover, bring to a boil. Then reduce the fire. Salt to taste, add seasoning for meat dishes. Put grated cheese in the gravy, then simmer for 10-15 minutes. Gravy is ready. To gravy from sausage for a side dish you can prepare mashed potatoes, pasta, rice, buckwheat - for your taste and discretion. 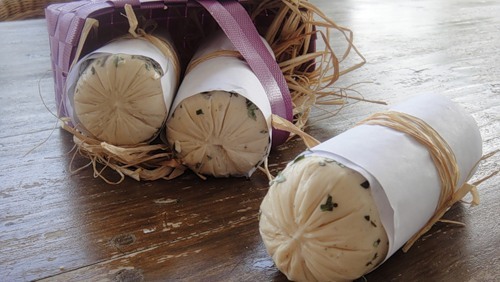 Homemade boiled sausage, made of natural ingredients, containing no artificial colors, flavors or preservatives – a great alternative to store-bought product. 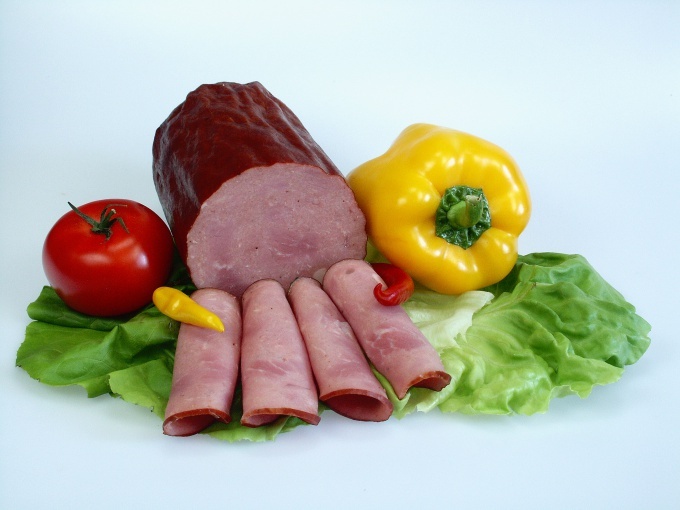 Sausage, home-made from beef or chicken mince can be used for baby and dietary food, indispensable for preparation of various salads and various sandwiches. Recipes homemade sausage allows you to change the amount of spices to make the end product less calories, use different methods of thermal processing. For making homemade sausages from chicken will need 1 kg chicken breast or meat of the thighs and shins. Remember that white meat the sausage turns slightly dry and less nutritious. To obtain the optimal variant of the final product, you can use both types of meat. 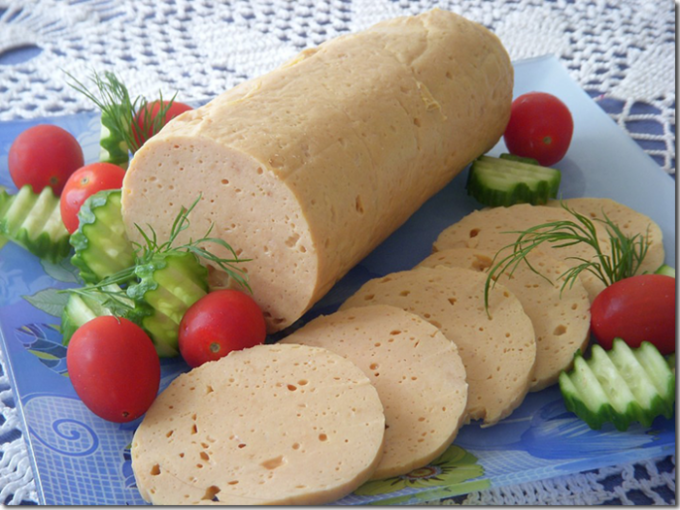 Chicken meat cut into small pieces and using a blender grind until a creamy structure. Then to the meat add chopped garlic or onions, 100 ml cream, spices to taste, 1 large raw egg. The resulting mixture is again mixed thoroughly in a blender. The finished sausage is well kept the form in the stuffing, you can add 1 teaspoon of starch. If you wish to give the product a familiar pink color in the meat pour in 3-4 tbsp fresh beet juice. The mass is spread on a foil or sleeve for baking, to form a small cylindrical workpiece and firmly clamp the edges. To prevent the ingress of water into the package, blanks it is recommended to place 1-2 in a plastic bag. The homemade sausages are placed in a wide saucepan, pour water and cook on low heat for 2-3 hours. The finished product is cooled, is placed for several hours in the refrigerator, after which the sausage can bring to the table. Juicy piece of meat weighing 800-1000 g crushed together with the garlic in a meat grinder, add salt to taste, black or red pepper, oregano, nutmeg and 1 tbsp olive oil. The mixture was thoroughly stirred and placed in refrigerator for 1-2 hours. To give the sausage the desired density in the minced meat add 1 tsp of starch or gelatin. If you want to make homemade sausage more juicy and nutritious, the meat can be scrolled with the addition of slices of bacon and 100 ml of cream. The spicy taste of the finished product give small slices of cheese, mixed in the ready-made stuffing. That the cheese is less melted, it is convenient to use the dried slices. Sausage meat spread on a sheet of baking paper or foil and give it the desired shape, carefully wrap the edges and placed in a plastic bag. The workpiece is brewed using the same technology as the sausage of chicken. If you can not follow the process of cooking a home cooked sausage can be cooked in a slow cooker, putting it on a mode of extinguishing or cooking soup. When coloration of the sausage beet juice it is necessary from time to time turn the piece on the other side, is to paint the finished product was uniform.